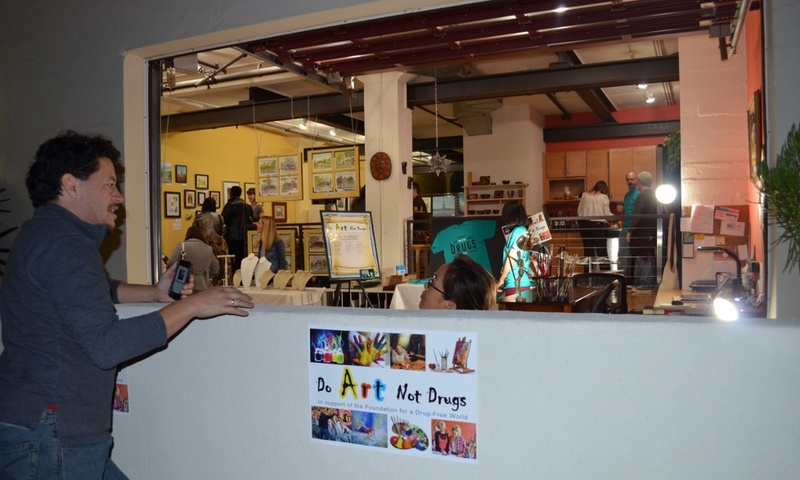 Do Art Not Drugs Show a Hit! Home / Do Art Not Drugs / Do Art Not Drugs Show a Hit! 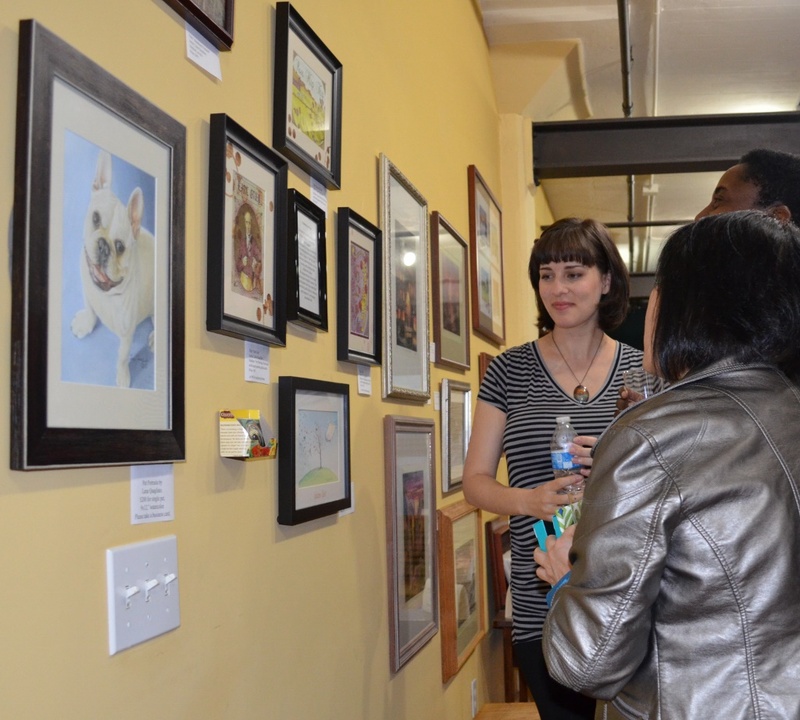 A light-hearted Art Show . . . with a serious message! This was a fun one! 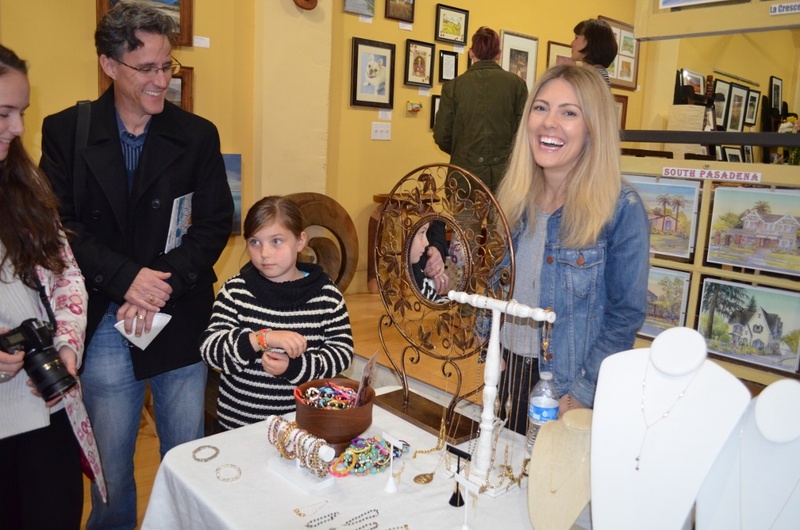 Held during the South Pasadena Arts Crawl, I had a wonderful array of artists joining me. They included: Carl Christensen and his woodwork creations; Lena Quagliato and her paintings with “tea” as well as realistic nature paintings; Katie Dean and her beautiful line of handmade jewelry: Theodore Sveningsen, an accomplished artist who displayed his interesting etchings; photographer Christine Murphy and her lovely nature photos and Kayla Cloonan who displayed a number of attractive miniature abstracts in oil. Key to this exhibition was it’s theme — Do Art Not Drugs! Why this theme? Because drugs stultify and destroy creativity! And not just street drugs but equally as dangerous and “legal” pharmaceuticals that are handed out today with abandon to kids who are “too active” and not easily controlled. 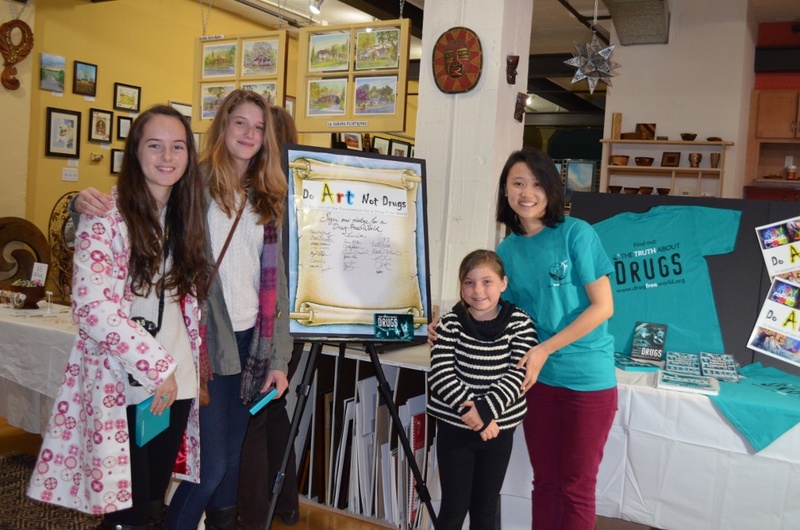 Informational materials to keep kids off drugs through education were on display and given to attendees. These were supplied by the Foundation for a Drug-Free World, an effective group I support which is dedicated to keeping kids of drugs through education. 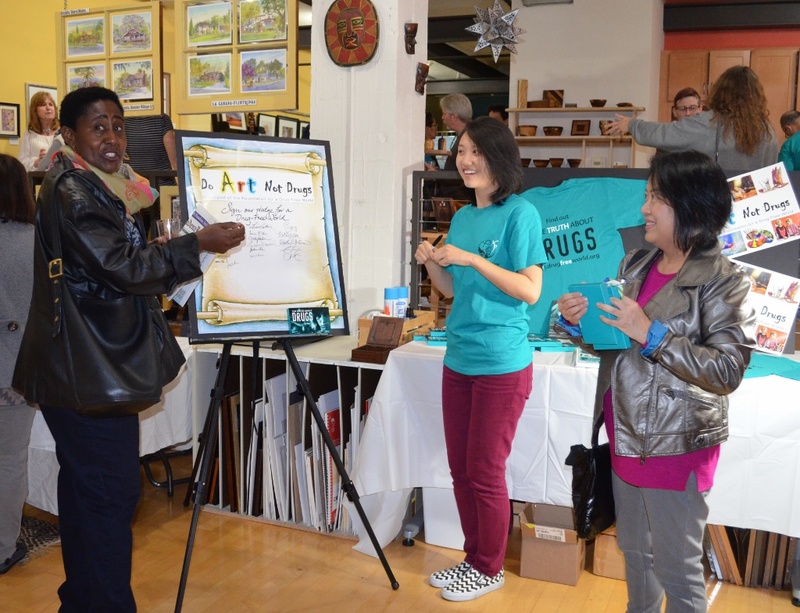 The Pledge for a Drug-Free World was also a hit!